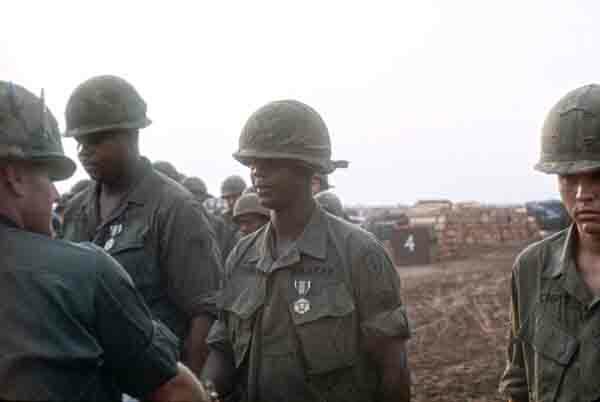 I do not remember the names of the men with the Army Commendation Medal pinned on by Captain Neal. Tiny was our nickname for the larger man, and I knew many battery mates by nickname only. Knowing only a nickname was normal in Vietnam but makes locating people today very difficult. That is one purpose of my site; if you know anyone that served with the 25th Division please direct them here. Richard Neal was wounded and evacuated in May 1969 at FSB Crook and did not return to our unit. After healing he trained as an Army helicopter pilot and was seriously injured in a stateside crash.